Contemporary and rustic styles of interior design are usually not brought together in many layouts, but HGTV designer Candice Olson may have found the prescription. According to the Evansville Courier & Press, Olson used a series of modern bathroom accessories with classic rustic features to blend the two aesthetics seamlessly. After getting rid of a doorway that separated a powder room from the rest of the bathroom, Olson started by installing a long series of wood drawers, a granite countertop and a small vanity and sink area at the end. On the other side of the room, the designer placed a walk-in shower, a bathtub and went with a lengthy layout that made the room feel much larger. To incorporate the outdoorsy and rustic theme, Olson installed a beautiful new eco-friendly toilet embossed with floral patterns. Above the bathtub, she incorporated a rustic barn-door wall that imparted the look of aged wood into the room. 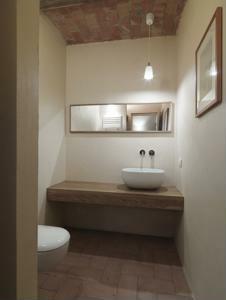 All in all, the mixture of classic rustic and elegant contemporary furnishings worked beautifully to add personality to the bathroom. What tips do you have for homeowners working with these two distinct decorating styles?